Simple to make, this cake is gluten and dairy free and packed full of flavour. 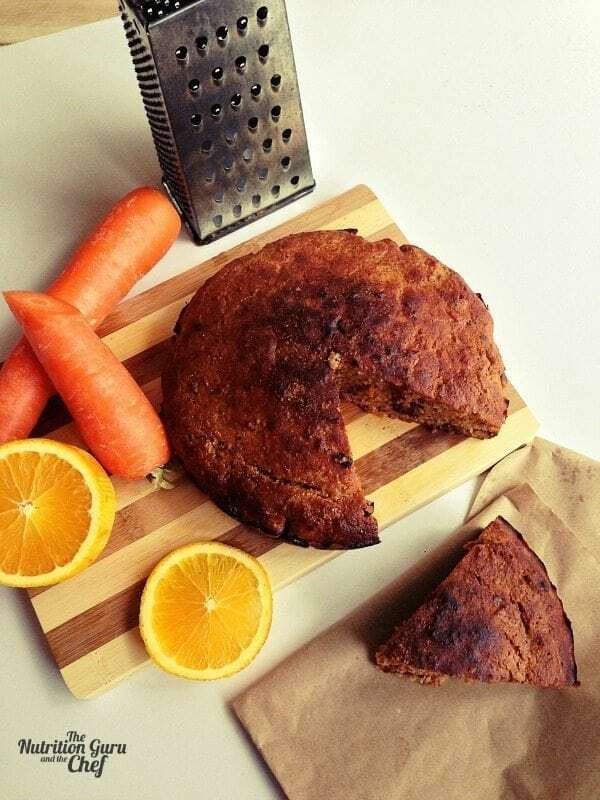 A healthier version of your normal butter laden cake containing processed white flour, this cake contains more fibre as it’s using ground nuts and carrot as the base. Looking for a toddler snack? Simply leave out the honey/maple syrup, or cut the quantity in half. 1/4 cup sunflower, coconut or olive oil (you can substitute with coconut oil if you wish but before you do, read my view on coconut oil here). Add the oil to the eggs and whisk lightly to incorporate. Add the rest of the ingredients into the bowl containing the oil and eggs and mix to combine. Stir with a wooden spoon to thoroughly combine. Bake for 30 minutes, until brown and a skewer inserted into the middle comes out clean. Thank you for following us Judith! Awesome, so pleased you like it Katie! It’s super easy isn’t it>!